Now that Round 6 at Le Mans is over, it is time to start preparing for Round 7 at the Nurburgring. If you are new to the series, check out the original post, where you can read up on the rules and sign up. Or, if you already know the plan and just need to sign up, click here to go straight to the sign up sheet. At the time of this writing, BoP is on hold. We are getting a lot of new cars in July that have the potential to completely change the builds of the other cars, especially in the Sports-Proto class. Nevertheless, BoP will be finalized a week before the race at the latest, so keep an eye out for updates from me. It is also important to note that the BoP for this round will be different in the sense that I will be using old builds from previous rounds rather than creating all new builds. This is due to the fact that BoP on this track would be prohibitively lengthy and difficult, if not impossible. Now this being said, after 6 months of BoP I am very familiar with these cars and have a good idea which builds will work best on this track. It is still possible that some discrepancy on pace will exist. That is where all of you come in. If you believe a car is too fast or too slow, come to me with supporting evidence and I can investigate it. As for the date of the race, the poll with the time options is below. This time around, I only have 6 different time options, mostly Sundays unfortunately. July is a pretty busy month between all of the current and upcoming racing series which you should also definitely race in. In addition, there is also voting for weather conditions. For weather, there are four options: day, rain, night, or real world conditions. For rain, I’ll probably just randomly select various conditions for the different segments of the race, excluding heavy rain and thunderstorms because I don’t want the race to be a complete mess. Real world conditions would follow the real weather forecasts for Nurburg, Germany the day of the race, again excluding dangerous conditions. Y’all lucked out three times now with a clear race, but maybe this time we can get some rain. Then again maybe not because Nurburgring. A night race could be fun too, but also problematic, again because Nurburgring. I am also letting you choose between simulation or fuel and tires damage for this round. Due to the length of the track, a bad wreck can leave you stranded. This can be avoided with fuel and tires damage settings. But if you all still want that added realism, that’s fine too. It’s all up to you. 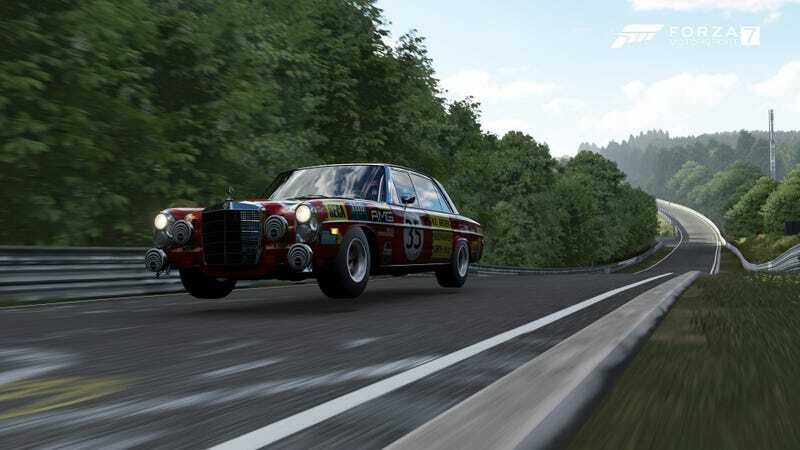 Also, a reminder that we will only be racing on the Nordschleife portion of the track.